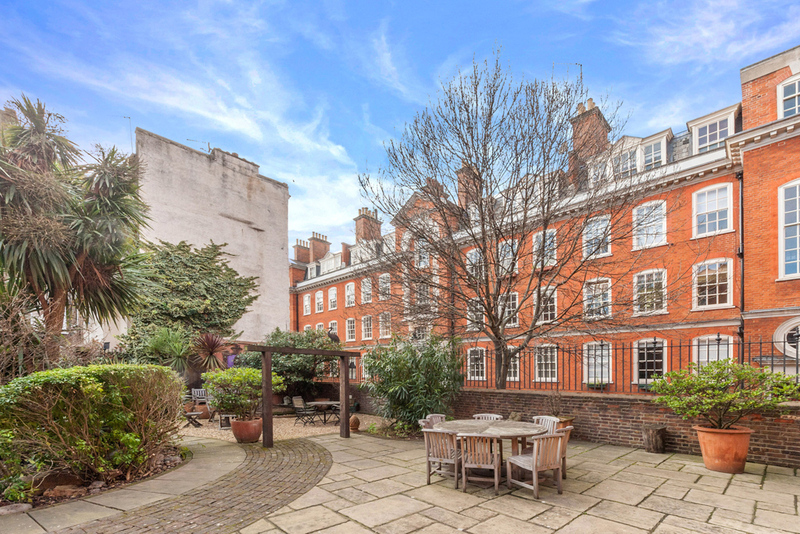 Martlett Court lies between Drury Lane and Bow Street in the heart of Covent Garden. With land sold by the eleventh Duke of Bedford around the end of the 19th Century, London County Council developed the three red brick blocks that comprise Fletcher Buildings, Beaumont Buildings and Sheridan Buildings. The 3 buildings comprise some 125 flats contained within an enclosed gated estate, with common courtyards and a beautifully landscaped communal garden. The individual properties are a mixture of studio, 1 bedroom and 2 bedroom apartments and are popular as Pied a Terre's and rental investments. Whilst some flats are still occupied by Westminster Council Tenants, approximately 70% of the development is now privately owned. Many of the flats are privately rented and tenants typically comprise a mix of professionals from the City and Students particularly those studying at nearby LSE. There is no resident porter at Martlett Court however the development is managed by Westminster's City West Homes. Do you live in Martlett Court?